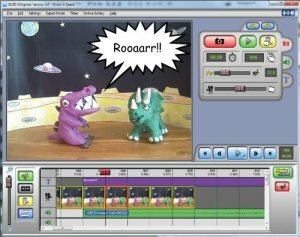 Stop motion animation is an incredibly fun, hands-on way to make amazing films, using a variety of materials and objects such as clay, LEGO figures, and other everyday materials. In this camp young filmmakers will learn the science of film and animation. Stop motion animation was first used in early films such as King Kong and the silent pictures, especially when it came to special effects. We provide campers with storyboard techniques, script writing, set design ideas, character development, film angles, lighting, special effects, and methods to add titles and rolling credits. Be sure to see our other movie-making summer camp, Special Effects!